SEGA has dropped a few new tidbits ahead of the release of Team Sonic Racing, due to hit the Nintendo Switch on May 21 2019. Firstly, we have a sneak peek at a new nautical map, known as Whale Lagoon. 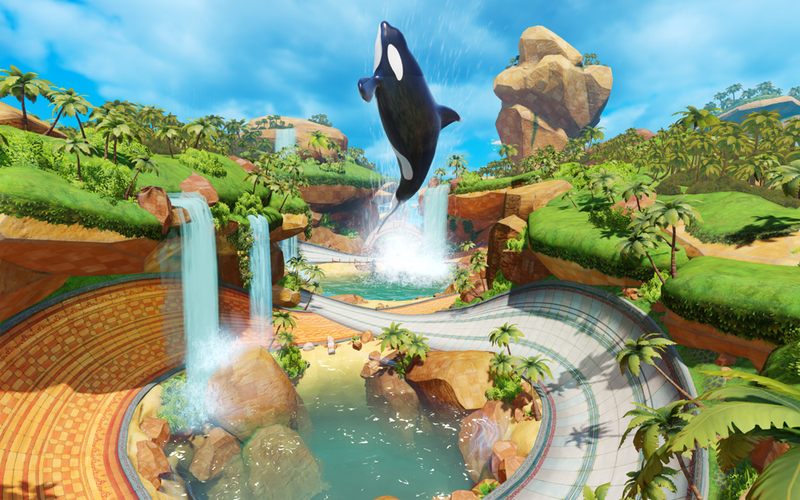 Here, Sonic and his pals will race to the shore as they swerve through a vibrant underwater landscape full of mysterious marine creatures. Along with the map, SEGA has teased some tunes from the game, with brand new music from iconic Sonic series composer, Jun Senoue. The submarine beat is part of the Whale Lagoon anthem, providing an upbeat remix of “Seaside Hill”, originally from Sonic Heroes. You can listen to the track via the official Sonic the Hedgehog YouTube channel below. Team Sonic Racing is being developed by award-winning studio Sumo Digital. The kart racer is set to bring a fast-paced, competitive-style racing experience to arcade fans, featuring your favorite characters and environments from across the Sonic Universe. You’ll race with special team mechanics to play and win together, with online or local co-op modes available. What iconic Sonic tune would you like to hear while racing around with the crew? Let us know your thoughts on the new track below. Team Sonic Racing is set to release both physically and digitally on May 21, 2019.